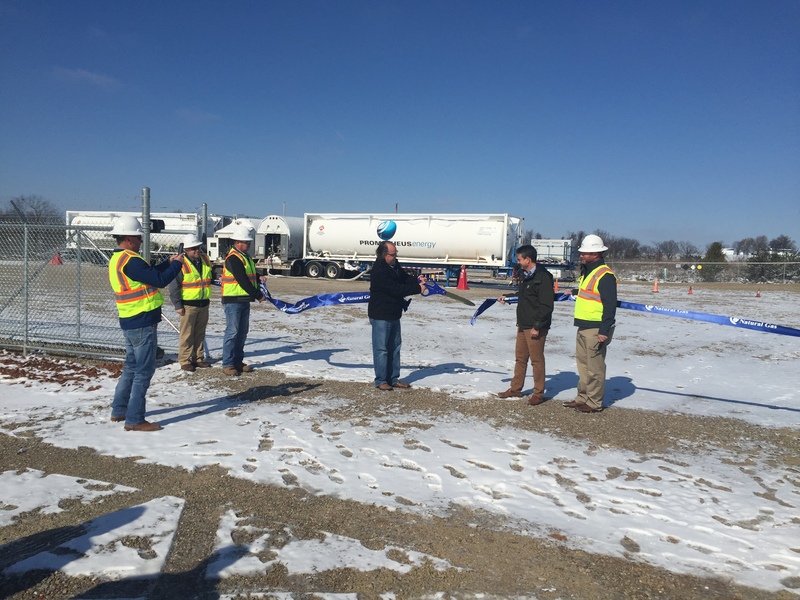 New Liquefied Natural Gas Facility In Lebanon - Summit Utilities Inc.
LEBANON, MO – Today, Summit Natural Gas of Missouri held a ribbon cutting at its new liquefied natural gas (LNG) facility in Lebanon, Missouri. The new facility increases capacity on Summit’s natural gas system and will help fuel the area’s impressive economic growth. Over the past five years, Summit has invested more than $14 million to bring clean burning, safe, affordable and reliable natural gas to the Lebanon area. In addition to the new LNG facility, which will be operated by Prometheus Energy, a pioneer in providing liquefied natural gas solutions to communities throughout the country, Summit also recently installed a new compressor to add natural gas capacity to its Lebanon system. State Senator Sandy Crawford (R – District 28) and State Representative Jeff Knight (R – District 129) also spoke at today’s event. The new LNG facility is scalable so that Summit can continue to expand natural gas capacity in the region as the city and surrounding communities continue to grow. It will be used on peak demand days to provide additional natural gas capacity to the system.